New research report “European Small Joints Market” worked out by iData Research has been recently published by Market Publishers Ltd. According to the study, the European small bone and joint orthopedic device market is forecast to witness positive growth in the coming years, with procedure volume growth dampening the price declines. Although the overall European small bone and joint orthopedic device market grew by 6.5% to reach a value of EUR 334.3 million in 2012, some segments saw price declines owing to the ongoing sovereign debt crisis in the region. Such government bodies as the National Health Service in the United Kingdom were making drastic budget cuts in 2012, which had a severe negative impact on prices. Looking forward, driven by a growing ageing population and the adoption of premium priced technologies, the European market is forecast to witness positive growth in the coming years, with procedure volume growth dampening the price declines. New research report “European Small Joints Market” worked out by iData Research has been recently published by Market Publishers Ltd. 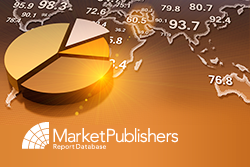 The study draws up an elaborate picture of the current condition of the the European small bone and joint orthopedic device market, including existing and potential markets, product average selling prices, as well as unit volumes. It also highlights the opportunities and potential threats involved, besides offering strategies for a successful navigation of the market landscape. Furthermore, the report identifies the trends and technologies that are likely to impact the future of each market segment/sub-segment, and prepares an impartial critical assessment of key factors driving and restraining market growth. Furthermore, the research offers detailed forecasts for the future development of the market up to 2019.